A tola 750 mounted on a Tola Rocker is shown, but a Wedge configuration is also appropriate. 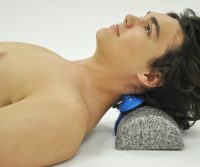 If you are able to comfortably rest your head in your hands while lying on your back, this is an excellent technique for applying dynamic pressure to the back of your neck. 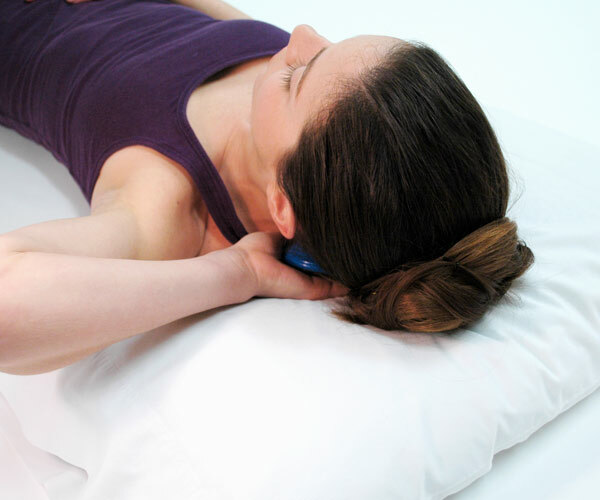 Hold your TolaPoint in your hand, then lie, to place your head on a pillow with your Point in your hand underneath your neck. 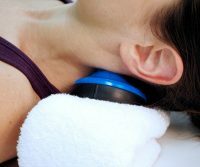 Gently settle your neck onto your Point. 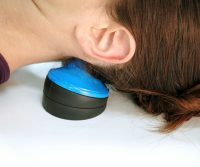 Relax your neck, and use the weight of your head to generate the required pressure. 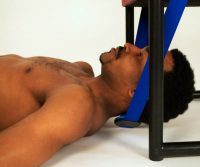 For more pressure, push up with your hand, or use your legs to push your neck toward your Point.